The new logistical support vessel can be deployed to supply units at sea, for strategic sea transport, and for logistical support from the sea (“seabasing”), with the ship acting as a seaborne base for implementing and supporting land operations. It must be possible to perform these duties worldwide, and anywhere within the spectrum of force. 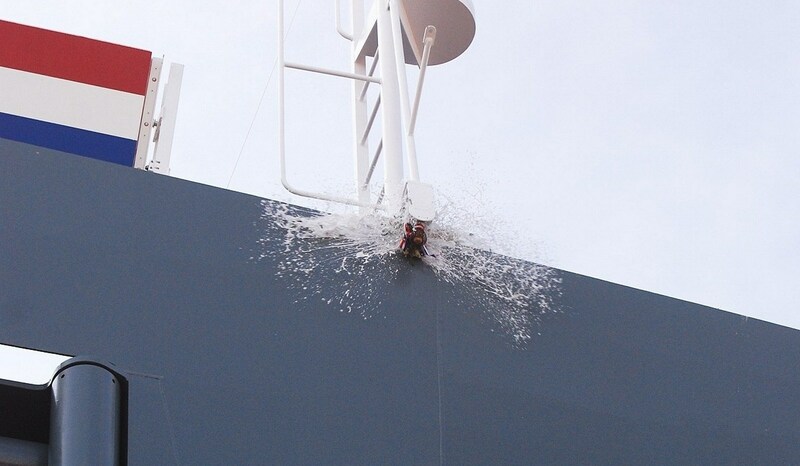 In addition to a below-deck transport deck, medical facilities, and its own loading and unloading facilities, the new vessel also has a helicopter deck with two landing pads for different types of helicopters. The Karel Doorman replaces two supply ships, the HNLMS Zuiderkruis (decommissioned in 2012) and the HNLMS Amsterdam (to be decommissioned this year). 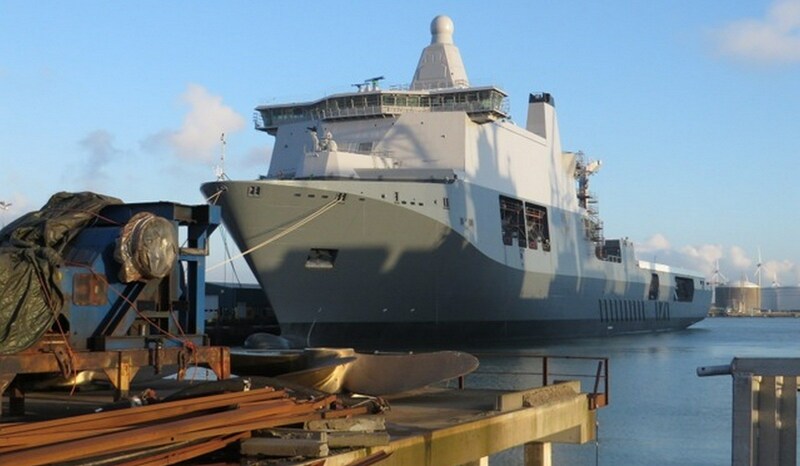 The new vessel was largely built at Damen’s shipyard in Romania, but has been fitted out in Vlissingen. It will commence trials in May. 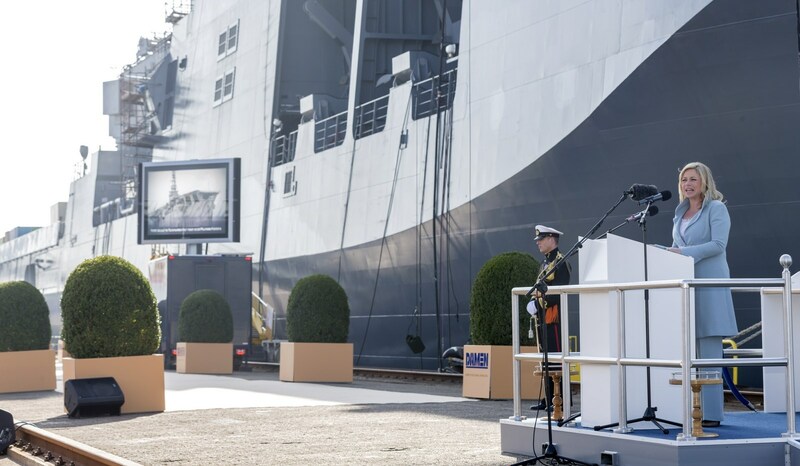 In her memorandum “In the Interests of the Netherlands” [In het belang van Nederland], the Minister announced last September that, once it had been outfitted, the new Joint Support Ship would be sold. This cost-cutting measure was cancelled a month later, meaning that the ship will in fact join the Dutch navy. 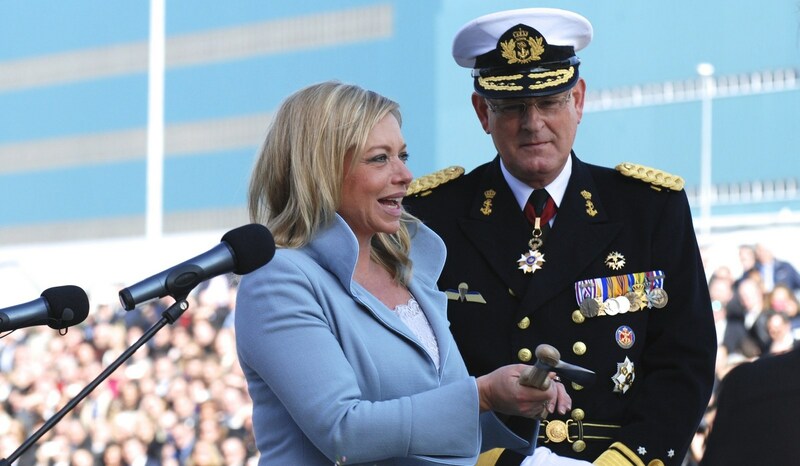 Ms Hennis-Plasschaert is currently investigating whether there is international interest in shared use of the vessel, for example within NATO or within the EU. More (and updated) news, speeches, photos and a video can be found (in Dutch) at the website of the Dutch Ministry of Defence.